It’s always good for everyone to be on the same page when covering a new topic. So let’s define the different players in the audiobook slice of the book publishing pie. Let’s ask the question, “With whom does a publisher shake hands?” A publisher usually has negotiated with a creator’s agent for the rights to intellectual property. The book (in print, ebook, and audiobook) for an author. The song for a musician. That’s a handshake (or contract). The publisher then turns around and shakes hands with a distributor. In the print world, that distributor then shakes hands with book sellers. 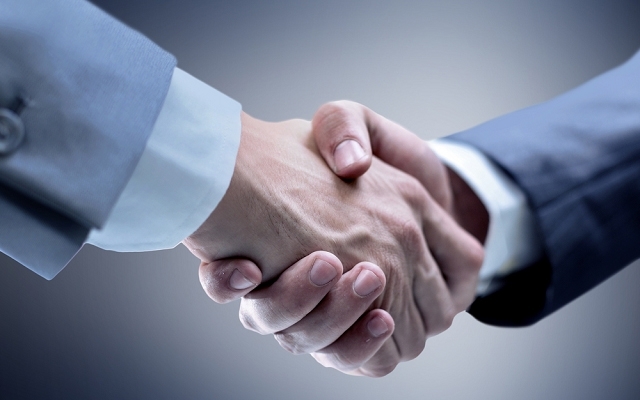 In the digital world, most distributors are also sellers. Digital distribution for audiobooks is relatively new, so there is no tried and true way that this all shakes out. A publisher might cultivate relationships with digital distribution sites directly. Or it might leverage the distribution contacts of a large audiobook producer. But the bottom line is that a publisher is usually in charge of collecting money from all the different sellers, then disburses money due to the author (and potentially others) in the form of royalties. The publisher takes a healthy cut of each for managing all these relationships for the author. A producer oversees all the aspects of turning the author’s written word into a spoken story. This can mean leasing a studio (if they do not have one in-house) for recording. It can include hiring narrators, audio engineers, and audio editors. It is also possible for the producer to wear everyone of these hats herself. That’s why this term can get so confusing. 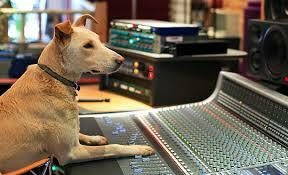 If it takes a pack of players to create an audiobook, the producer is the Alpha Dog. 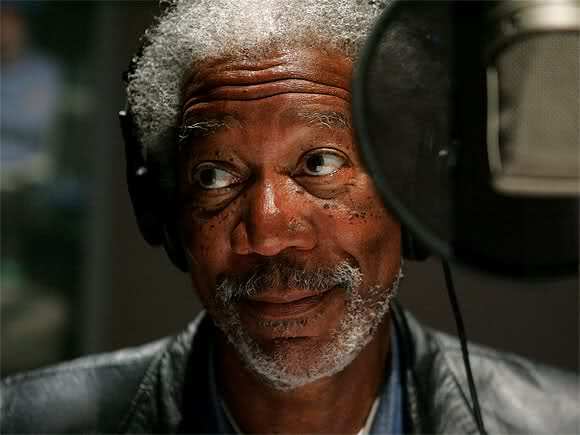 And a producer who can land an A-list actor, like Mr. Morgan “Gravitas” Freeman, deserves an almighty paycheck. The person(s) who read the words of your book aloud, both the narrative or action, and the dialogue. One actor or performer can read the entire work, or various actors can be hired to play different parts. There are equal parts acting and craft to narration. It’s the actor’s job to be vulnerable, play, and perform the descriptions and dialogue with truth and non-judgement. 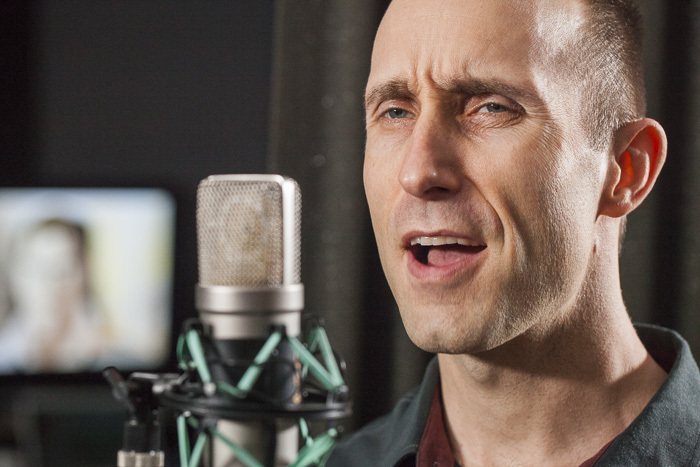 It’s the craftsman’s job to understand the techniques of microphone performance. Can he maintain energy throughout a multi-hour session? Is he consistent with character voices from beginning to end of the book? Does he have control enough to avoid ugly mouth noises or heavy breathing. This professional sets up all the gear to capture the narrator’s performance through a microphone and record it onto a computer with optimum quality. A recording is only as good as the weakest link in the chain. A good engineer knows how all the links work together–from mic to pre-amp, from compressor to A/D converter–and can troubleshoot glitches quickly. 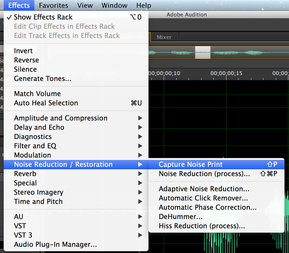 The audio editor is like a film editor. She takes the raw performance, selects the best clips, and stitches them together. This is where the shape of a performance can be fine tuned. A good editor will think in terms of pacing. She can create suspense by withholding a reply longer than expected. She can create tension and even confusion by speeding up a performance. If there are extraneous noises, those will be removed with a variety of special techniques. The editor is often also in charge of exporting the final files in the format requested by the distributor. This business interfaces with the fans, usually through a website that makes it simple to search for titles. Audible.com is a perfect example. Smart distributors will spend the lion’s share of their energy on enhanced marketing campaigns to maintain a strong relationship with their customers. Jason has produced and narrated a variety of top selling audiobooks, including titles in Mystery, Science Fiction, and Fantasy.